Greyhound Lay bot is 100% automated bot. It works on Betfair with no manual intervention. 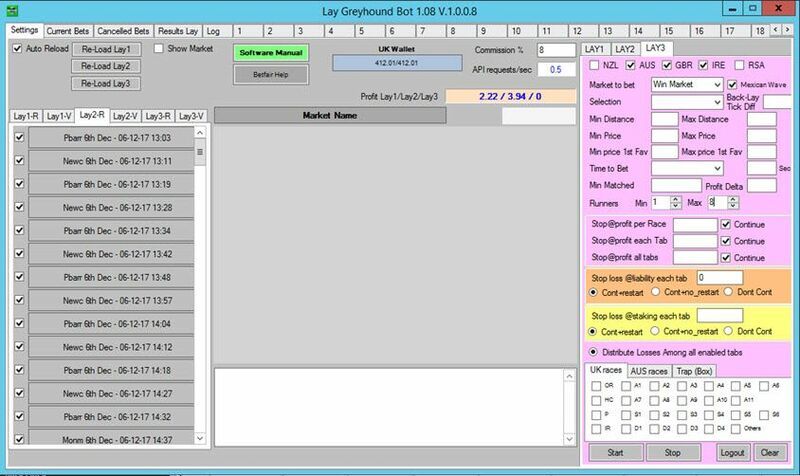 It can bet on all greyhounds races in Australia, NZ, UK, Ire, RSA on daily basis.As the name suggests, it’s a laying bot and has inbuilt recovery staking plan. Up to 3 different greyhound strategies can be used on this bot at any point in time. What price range the dog should be for bet to be placed. How many runners should be in the race for bet to be placed.